More Free Time – While Working Less. Do you have the Profits and Cash Flow you Need? What is a Profit Leak and why do most business lose money unnecessarily? So many of the small businesses I’ve worked with over the last 25 years have been winning the sales they need, but not bringing in the cash and profits they deserve. Is that you as well? Does your business require you work hard, 6 or even 7 days a week, yet you still find cash difficult to come by! Are you able to give your family the lifestyle they, and you, will love. There is an 80% probability that you can enjoy an additional cash boost of $10,000 or more in your bank account within 8 weeks and without having to generate any more sales and without having to work longer or harder. 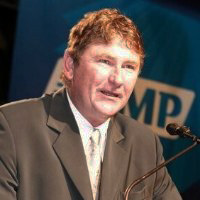 Greg Haigh, Air & Gas Systems. Dr Oliver Liyou BVSc (Hons1) MACVSc CMAVA - EV&DS. Do you sometimes find yourself working too hard and for too long, slaving away trying to increase sales so you can get more cash into your bank account? That’s a very common experience for almost all business owners. Working long, working hard, and trying to get more clients but never enough cash in the bank at the end of each month. What may surprise you is this: getting more sales is rarely the best option for getting more money in your bank account. If you’re like most business owners, trying to get more sales is like chasing confetti in the wind. And that’s why I’m going to show you how to overcome that exact issue and create a flow up to $10,000 (or more) of extra profits into your bank account each month without having to work harder or longer (and without having to get any more sales). What you need to do to get more cash into your bank account … fast. Simply click on the link below to reserve your place for TBA. This could be PERFECT for you and it may even allow you to finally enjoy the life you’ve always wanted.